Congestive Heart Failure (CHF) occurs when your heart muscle does not pump blood throughout your body, as well as it should be. Other conditions can cause your heart to become weak or stiff and cannot fill or pump blood efficiently, leading to heart failure. Heart failure is more likely to occur when you have previously had (or currently have) another heart condition, such as coronary artery disease, which is the narrowing of the arteries in the heart, high blood pressure or you have had a heart attack. There are multiples types of heart failure, and each type has its own array of symptoms. Left-sided heart failure is a result of fluid backing up into your lungs, which can then cause shortness of breath. Right-sided heart failure occurs due to swelling, that is caused by fluid backing up into your abdomen, legs, and feet. Systolic heart failure means that the left ventricle struggles to contract, which means it cannot expel the blood in the heart to the rest of the body. Diastolic heart failure is caused when the left ventricle cannot relax or fill fully. Though there are many different kinds of heart failure, COPD is more common with right sided heart failure. COPD is the occurrence of breathlessness and is the umbrella term for emphysema, chronic bronchitis, and non-reversible asthma. It is a progressive disease and currently has no cure, but can be managed with treatments and medications. The main cause for COPD is smoking, followed by the environment you are exposed to on a daily basis, such as air pollutants or secondhand smoke. Though COPD and CHF are not direct causes of one and other, there are links between the two that make them somewhat common together. 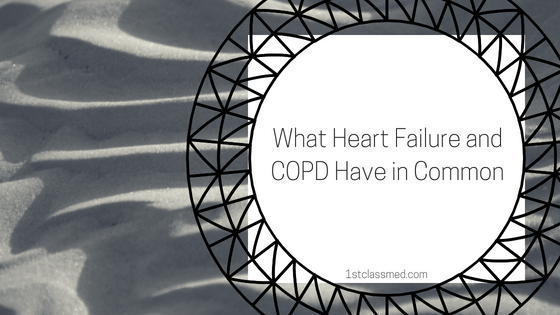 Both COPD and CHF have similar symptoms, making it hard to tell the difference on occasion. COPD and CHF can leave you with a feeling of shortness of breath, causing a feeling of exhaustion. 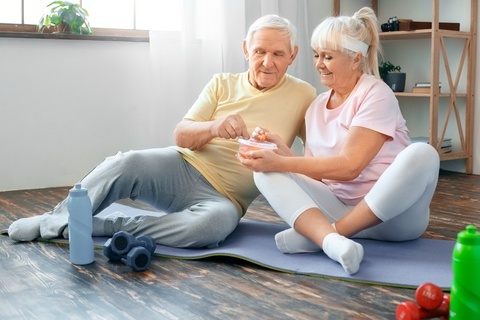 Shortness of breath and wheezing can occur with little to no physical activity in those with COPD and CHF, as the disease progresses, it can become even more noticeable. They both also can have a cough that produces sputum (mucus). It is common for COPD patients to have a chronic cough, as they are constantly trying to produce the sputum that feels trapped in their lungs and throat. CHF also has a cough that can produce sputum, this is normally more of a dry cough compared to COPD. COPD is more likely to have a feeling of tightness in the chest, but CHF does not. CHF produces a feeling of irregular heartbeats in the chest and can make you feel like your heart is beating rapidly. Though they do have a handful of common symptoms, they stem from different causes. COPD is commonly caused from smoking, though it does not mean you will get COPD, it can just increase the likelihood of a respiratory disease. Smoking can also be a factor in heart disease and CHF, another factor in heart disease can be coronary artery disease (CAD). 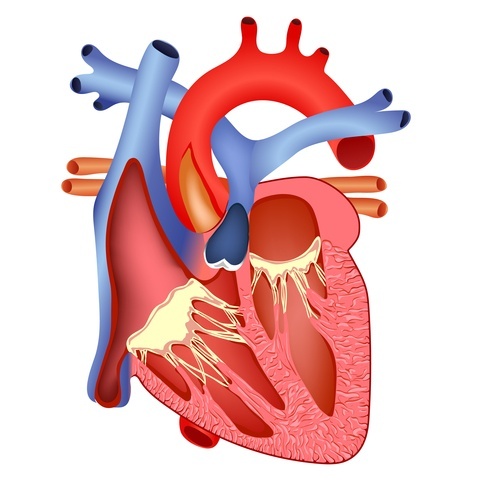 CAD occurs when the blood vessels in the heart become blocked and this can cause heart attacks. Heart failure can also be caused by diseases of the heart valves and heart muscle, as well as high blood pressure. Most commonly because of smoking, COPD is not closely linked to CHF, as CHF is more closely linked to other heart diseases. Though there is currently no cure for either of them, but treatments and medications can help slow any progression and manages any symptoms. As both diseases can worsen from smoking, quitting can help improve symptoms and prevent your disease from declining quickly. Staying in good physical shape can also help your disease from deteriorating. Exercising when you can, can help your muscles surrounding your lungs and heart strengthen. This will help your heart pump blood and your lungs breathe air. Speaking with your doctor about safe exercises that you can do on your own, in a comfortable environment (at home or work, versus a gym). For CHF, there are a few medications given to the patients, to help multiple symptoms of CHF. This list is not comprehensive and may be missing the some of the medications you may be on to treat your CHF. Because it is common for CHF patients to retain a lot of fluid and sodium, a common medication prescribed is a diuretic, which will help lower the fluid and sodium in your body. Diuretics also can help lower blood pressure, though a separate medication may be prescribed for this. Another medication that also helps lower blood pressure and help widen blood vessels is a vasodilator, which can help reduce the strain on your heart. Digoxin can be a key drug when treating CHF, as it can help strengthen the contractions in the heart, helping blood get pumped throughout the body. Anticoagulants (blood thinners) are used to treat CHF as well, as they can help reduce any risk of blood clots. If the CHF is severe, there can be the necessity for oxygen therapy, as it can be hard for the body to draw oxygen from the blood because the heart is pumping too little. COPD has only one medication/treatment plan in common with CHF, oxygen therapy. COPD, no matter the stage, affects the lungs and that can require supplemental oxygen to prevent the organs in the body from failing. Other medications for COPD can be bronchodilators, both long and short acting. This can help open up the airways and lessen the strain on the lungs to breathe. 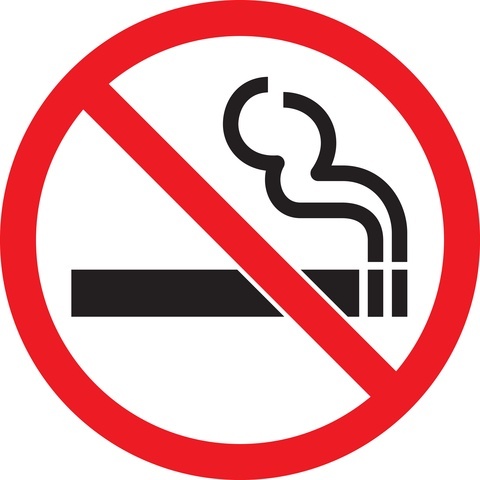 For both diseases, never smoking, or quitting smoking are some of the best ways to prevent COPD and CHF. Other preventative methods include eating heathy and exercising, as well as managing or treating high blood pressure and high cholesterol. Regular checkups with your doctor can insure your health is being maintained to the best of your ability. Though COPD and CHF do not go hand and hand like other diseases and illnesses, they have some similar symptoms. COPD affects your lungs and their function ability while CHF affects your heart. As some symptoms overlap, getting any symptoms checked by a doctor is key, so you can determine a cause. Each disease has a different line of medications to use and different focus of treatment. Focusing on eating heathy and exercising often can help your COPD or CHF. Quitting smoking should be a top priority for both COPD and CHF, as it can help with your diagnosis and your treatment plan.